These pictures show some of our very unique custom projects. These are some designs that we have worked with our customers and/or their interior designers to create. We are a full custom shop with many designs to pull from and even if it is something off the wall, we will work with you diligently to make it happen. Even if you find a design from another company, and they do not have the size you desire, give us a call. We can make just about anything in any size. 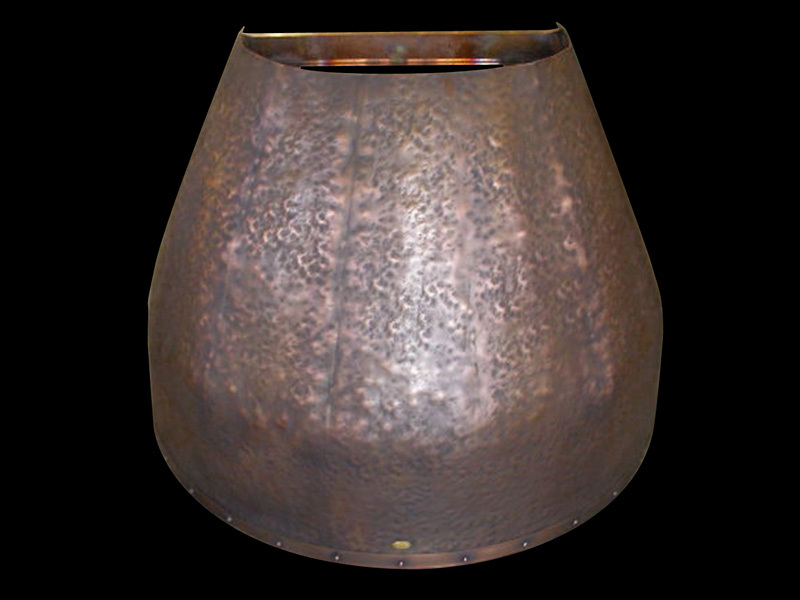 This copper rangehood depicted is not to be found on other websites. It is a semi-circle at the bottom then it rounds to the top. It was a difficult range hood to fabricate, but well worth the effort. It is pictured in a Medium Brown patina with Medieval Hammering. We made this to match a Farmhouse sink we also made for this customer. They were very pleased with the custom pieces when they received them. Do you find rectangle tables boring? No trouble! 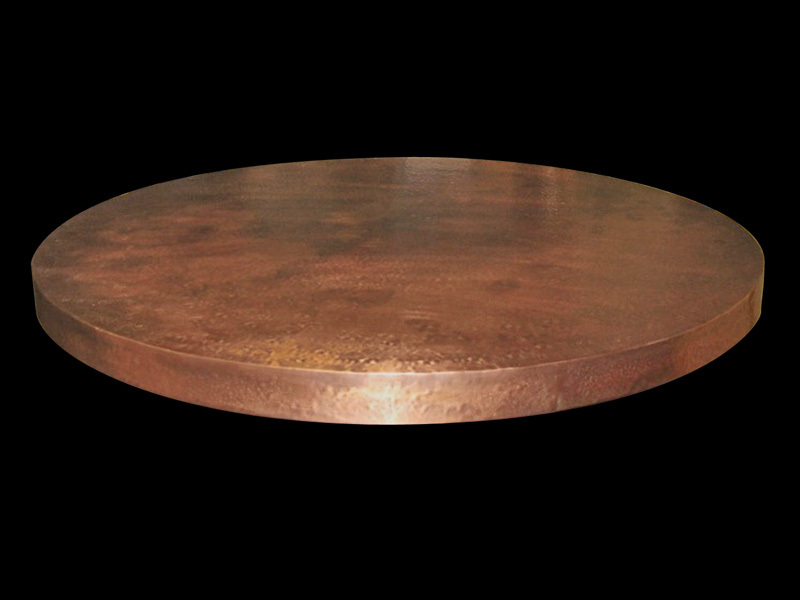 We can fabricate copper counter tops in most any shape, size, and dimension! Give us a call concerning your project ideas, we would be happy to give you a quote. 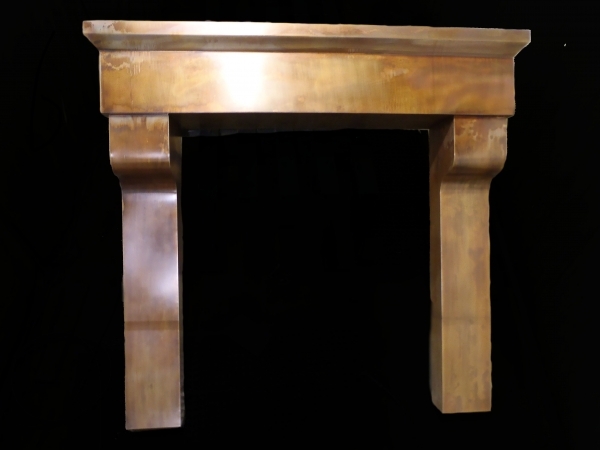 We can even provide a custom wrought iron stand produced locally by artisan coppersmiths in Indianapolis. Call us for details! Copper is ever increasing in popularity in all areas of home design. The classic living finish that copper possess makes it an ideal material to incorporate into most any decor and is timeless. We were fortunate to work with the owner, designer, and builder to create this stunning work for their living area, in an already well crafted home. Let our artisans put their skills to work for your next unique project! 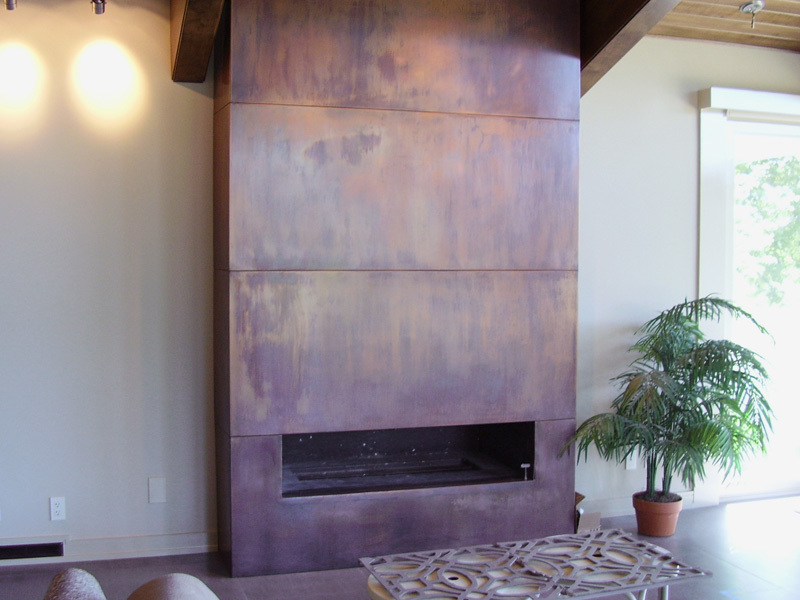 This custom copper mantle was made for a customer here in Indiana. It is 65" tall and 7' wide. It is all 48 oz. pure american copper. The client wished for a distressed patina to look more like rusted or worn out iron. We did a three part patina process on this to give it the layers of color that it has. 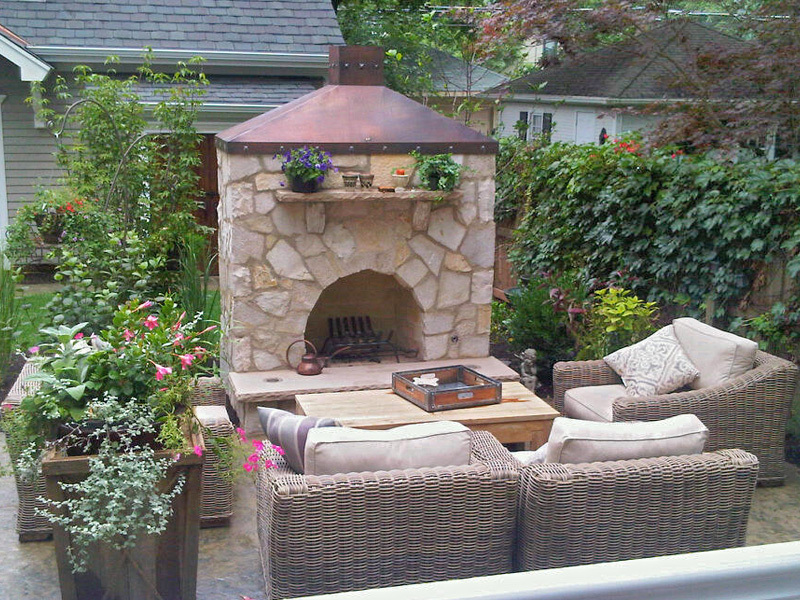 Circle City Copperworks fabricated this outside fireplace cap for a customer in Illinois. Photo shows a medium brown patina with black pyramid clavos. We made this in the Summer of 2010. Please contact us with any questions or inquiries for custom quotes.